Rotherham manufacturing specialist, MTL Advanced has secured a "significant order" in the rail sector. It is two years to the day that the shock administration of the fast-growing project manufacturing specialists, MTL Group, was announced. Since being taking over by the Darwen-based WEC Group, the firm has gone from strength to strength - winning orders and taking on staff backed by £8m of investment from the new owners. MTL Advanced has recently won a significant order to supply complex safety critical fabrications to a leading rail industry OEM. These fabrications will be fully compliant to MTL's BS EN 15085 Class 2 rail welding accreditation. 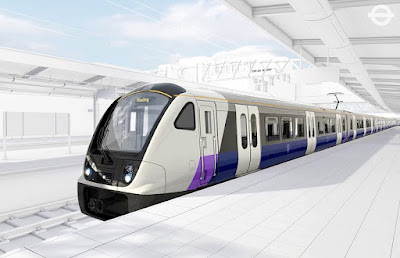 The manufacturer has not been named but the major contract will ultimately be used for the Crossrail project bringing a new railway line to central London. In May 2017, Transport for London will begin to introduce a fleet of 66 Class 345 trains built by Bombardier in Derby. MTL is approved by Bombardier Transportation through its "SEAP" process used to evaluate and approve suppliers. MTL is a supplier to major firms in the freight wagon and passenger rail sector. It supplies Category 1 safety critical parts such as bolsters, bogie frames, body shell components and fuel tanks. The Brinsworth firm also has an expert, in-house team to manufacture integral parts for use as rail infrastructure. The latest project has involved MTL working very closely with the customer to improve the initial design to ensure all critical to quality requirements are achieved. MTL also plans to expand its training academy by recruiting a new influx of apprentices. Nine apprentices are being trained within the 300,000 sq ft factory and offices. Its apprenticeship schemes include training in welding/fabrication, laser, machining and estimating. There is also additional training for use of automated systems including a 6 axis twin robot welding system. The schemes include both practical skills and also internationally recognised qualifications such as BTEC and NVQ certifications. The success of the current apprentices has seen the company seek to attract another eight recruits in welding and fabrication in an investment in the future skills of the company. A spokesperson for MTL Advanced said: "The five year apprenticeships provide individuals in South Yorkshire with an opportunity to gain the relevant skills for a successful career in engineering, whilst also producing highly-skilled workers to contribute to the expansion of MTL and WEC Group overall."